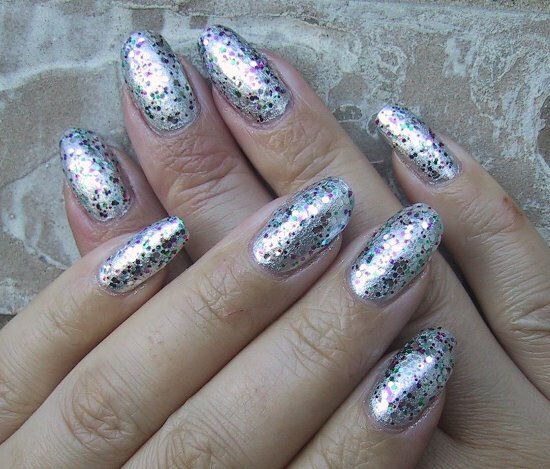 Silver is a color that can be carried just about in any way you want. It is a color that can be combined with any color and still made to look elegant, formal or even a party color. When combined with colors such as blue or red, it brings out the appeal of these colors as well. 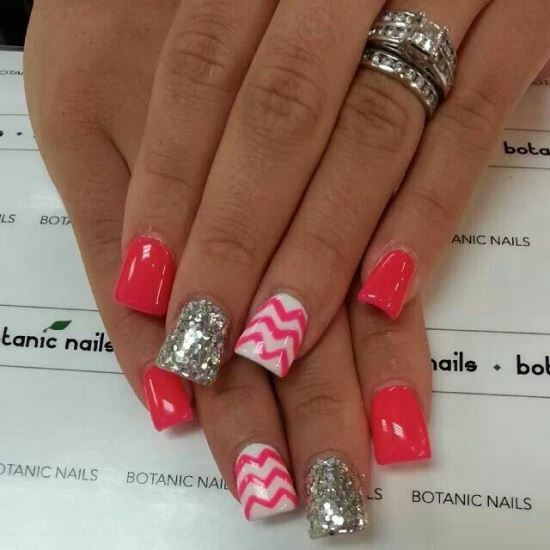 Nail art designs use many such color combinations giving your nails an attractive and unique appeal. 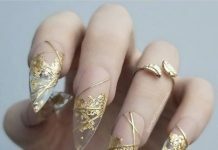 When you want to involve silver in your nail designs, there are numerous options and various combinations you can use to carry it out. 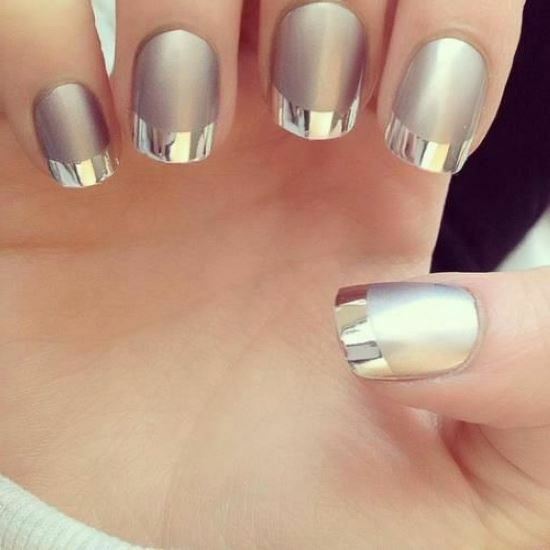 You can have various silver nail designs that can give your nails a unique look. 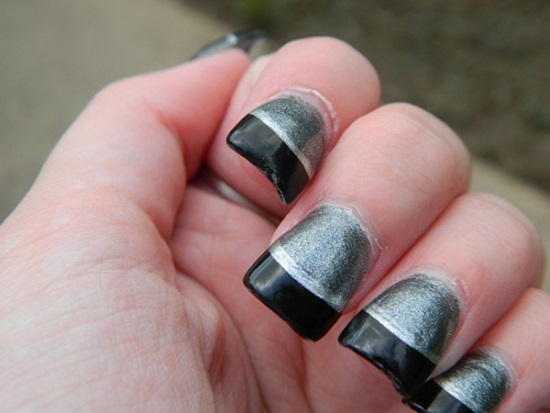 One option that you have in doing silver nails is to use just the color silver on your nails. You can use this color in any way you want. 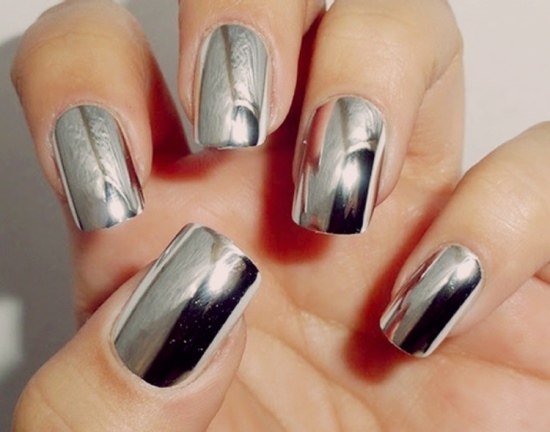 You can have a combination of matte silver polish and glossy silver polish giving a unique attractiveness to your nails. One way to use this combination is to do a French tip or a reverse French tip on your nails. 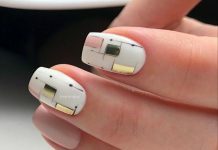 You can also use the ‘one unique nail’ technique where a single nail is either a matte silver or a glossy silver and the remaining are of the other color. 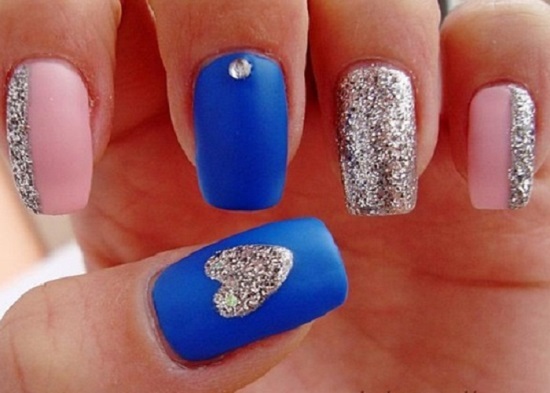 A variety of colors can be used in combination with silver. Red and blue are generally colors that first pop up in your mind. 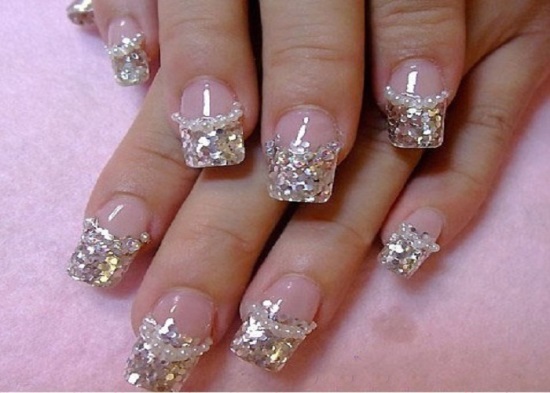 However, there are colors such as pink, yellow, white, and many others that you can use for silver nail art. 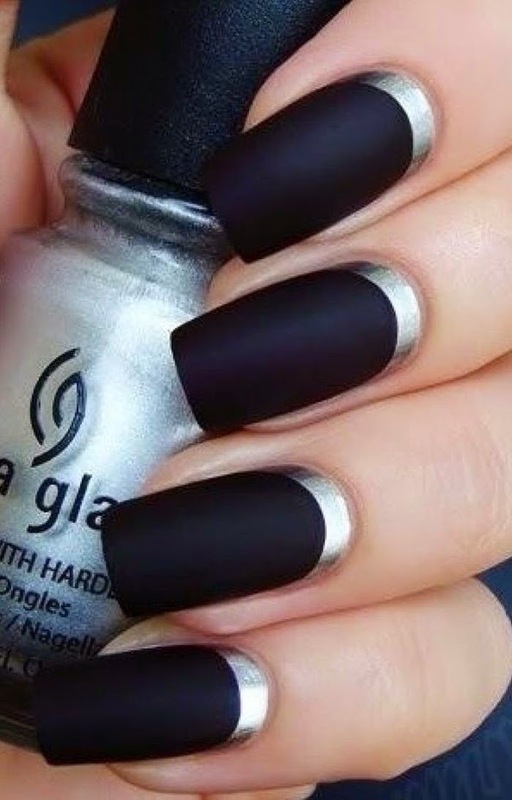 Black is another beautiful color that you can always use with silver. 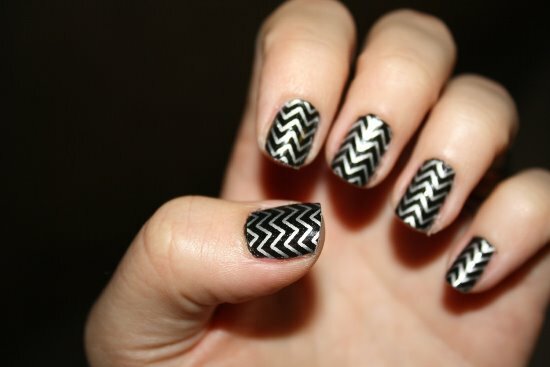 The combination of black and silver is an ultimate and gives quite an elegant touch to your nails. Gold and silver is yet another combination that works great, especially if you have a formal function to attend. 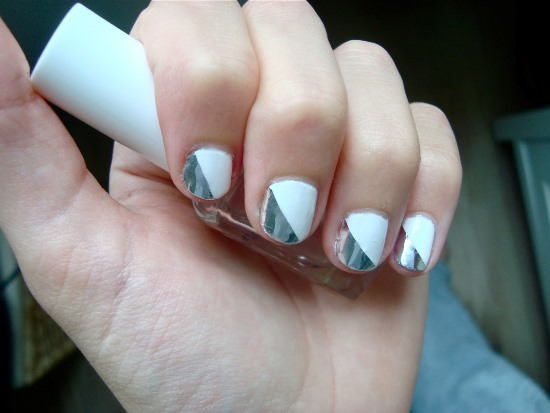 Silver nail designs are quite a common among nail art lovers. 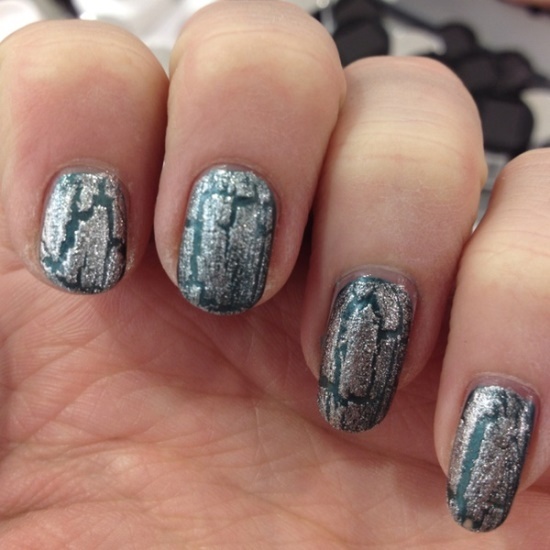 Creating beautiful, intricate designs with silver polish gives your nails an attractive look. You can use silver caviar beads for creating beautiful designs. The caviar beads can be used upon any polish color or can simply use it for the ‘one unique nail technique’. 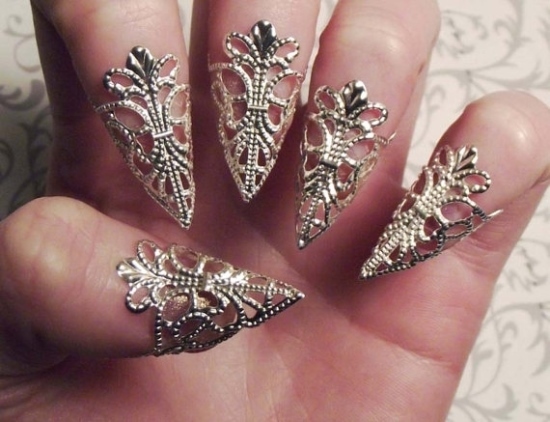 Silver rhinestones also make a beautiful tool for nail art. 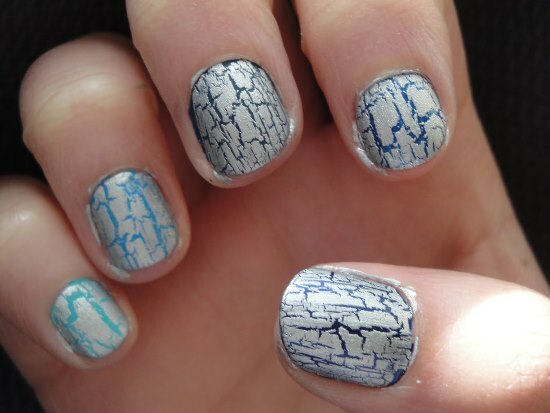 3D nail art stickers are also a great nail art idea for silver nails. 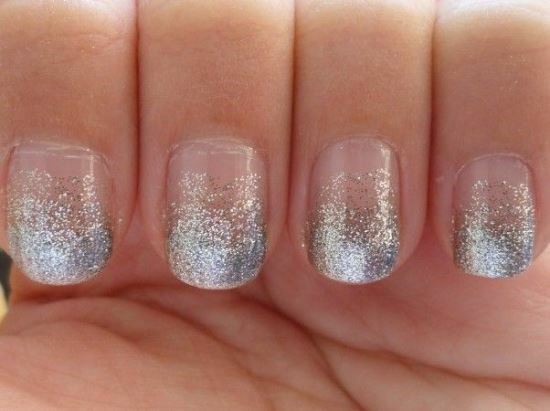 If not very detailed, you could simply use silver glitter on your nails to give them that subtle shiny look. 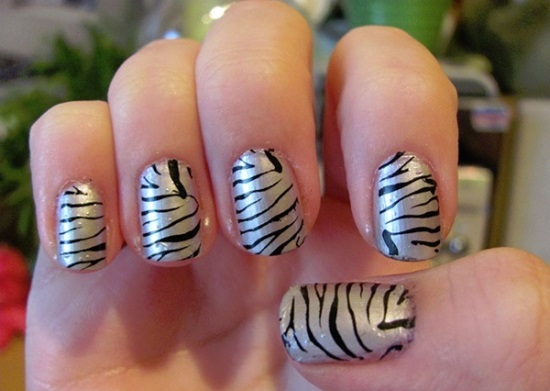 Using silver polish, you could make many nail designs such as the popular leopard print and zebra print. 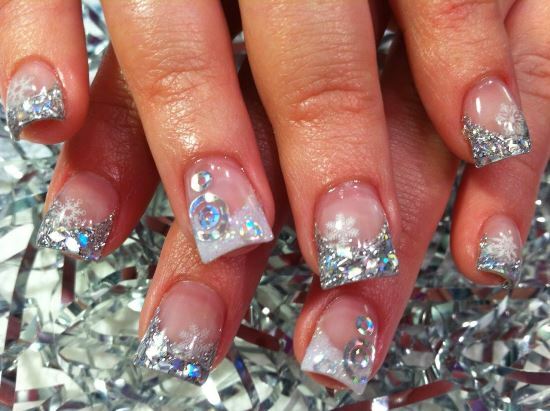 If it is a wedding you are looking forward to attend, red and silver is the best combination you can use on your nails. 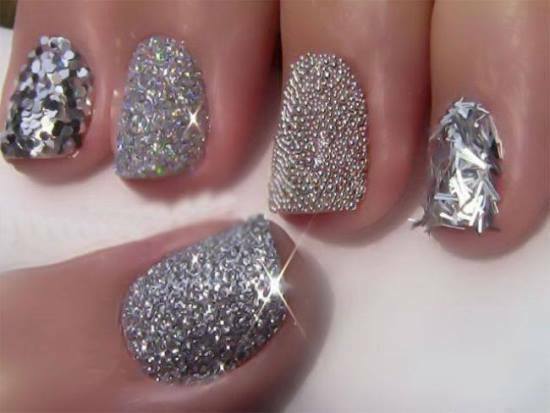 When you sit and think of it, you will come up with great many ideas of how to use silver in your nail art designs. 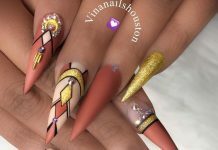 You will come up with unique combinations and beautiful nail designs. 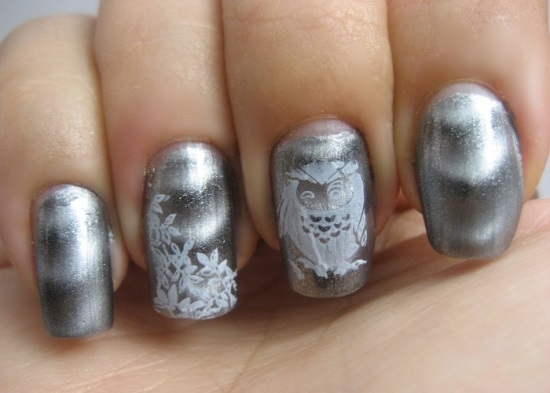 To help you with this almost difficult task, we have gathered some 40 pretty silver nail art designs for you.